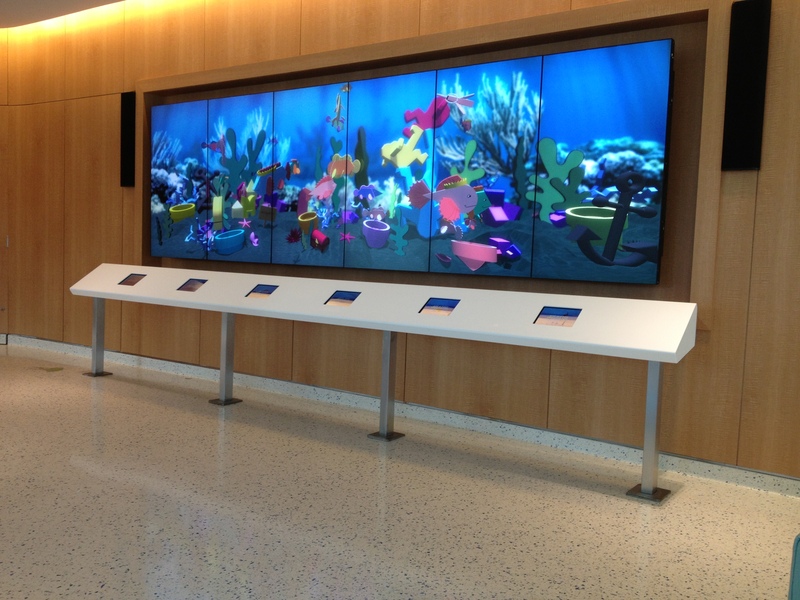 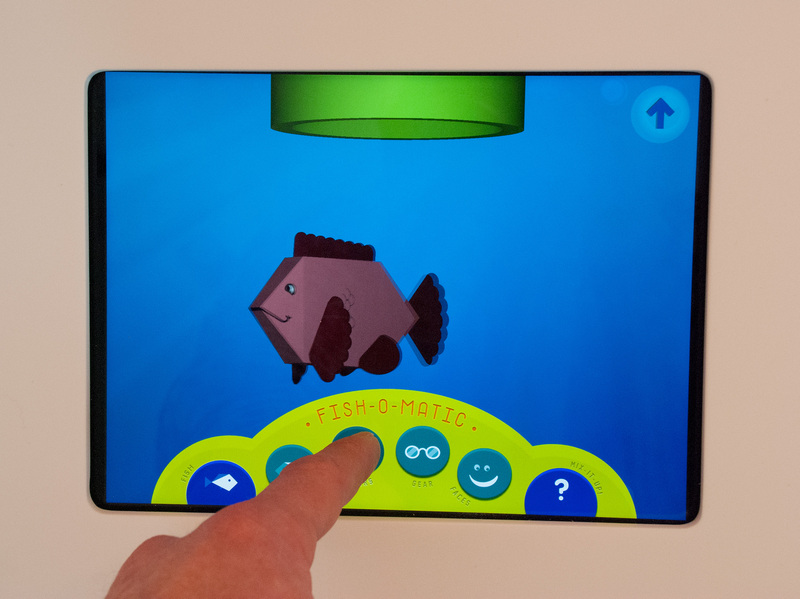 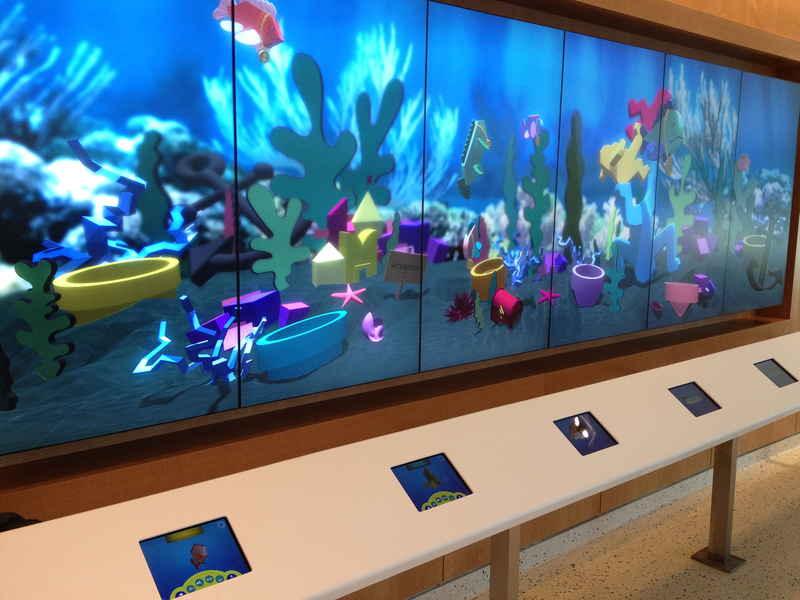 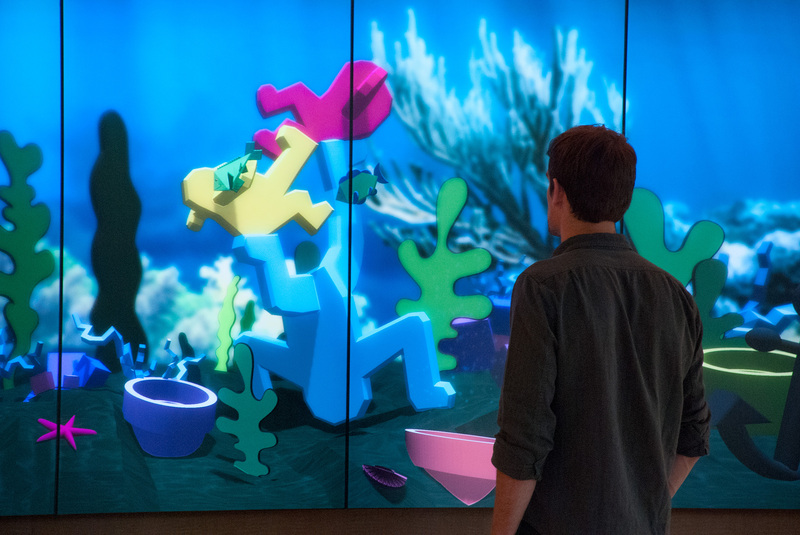 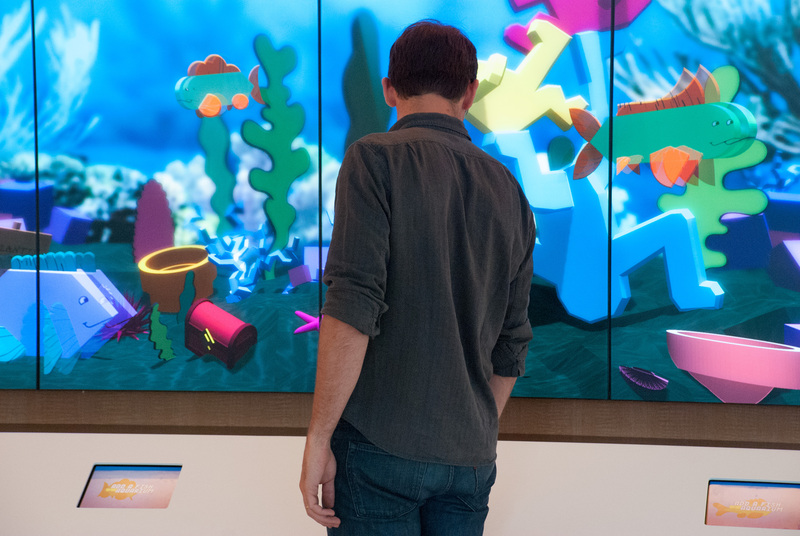 Children can add fish to this large virtual aquarium by using a fish builder application on ipads mounted under the large common tank. 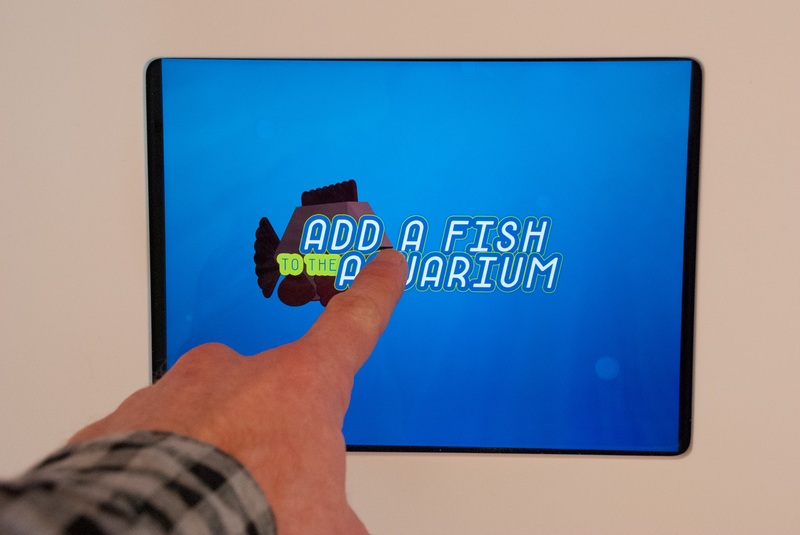 They design fish and release them to swim with large turtles submarines and other fish in the tank above. 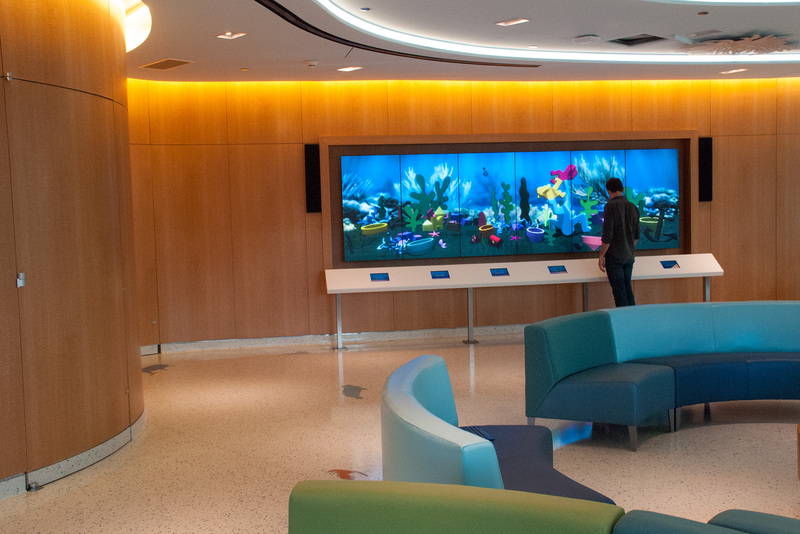 I lead this installation for the Rockwell Group during design of the Cohen Children’s Medical Center.